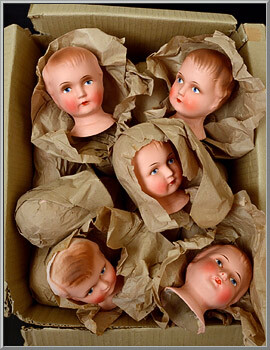 Purchased from a traditional toy maker in Sonneberg, Germany back in 1991, these old stock treasures have been stored in our attic ever since! 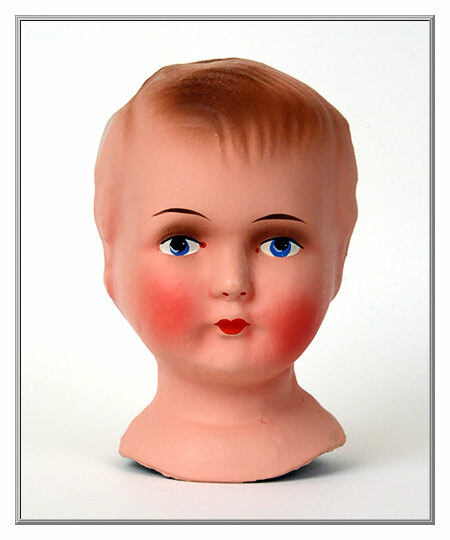 Just after the re-unification of Germany, we drove north from Coburg into the former East Germany to visit Sonneberg, which was the toy capital of the world in the early 20th century, and is still an important center of the toy trade and production. 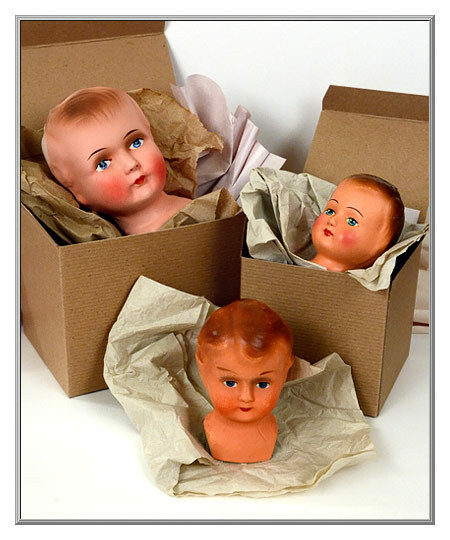 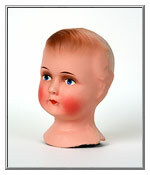 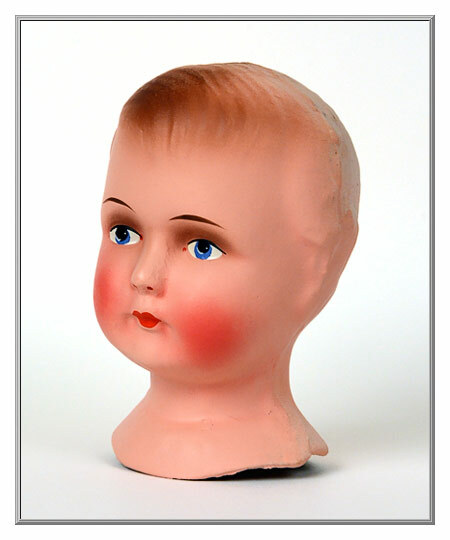 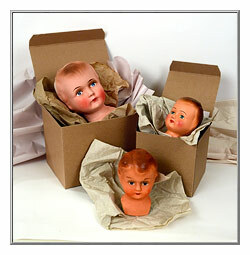 More than 80 years old, these pristine doll heads come in their original paper wrappers and are in mint condition. 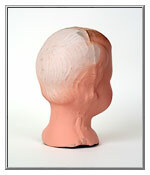 This large papier-mâché doll head with shoulder plate is made from two pieces of moulded cardboard. 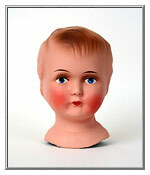 Featuring rosy pink cheeks and sepia brown hair, the eyes, eyebrows, lips and nostrils were painted by hand. 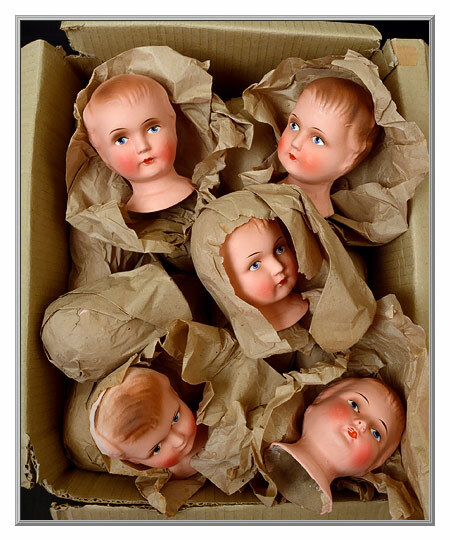 Quantities of this rare collectible are limited. 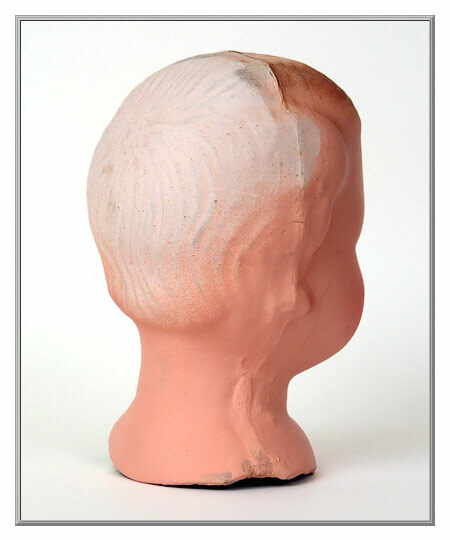 4¾” high and 3" wide by 3¼" deep.